Where in the world have the Good girls gone? And the good boys too for that matter? On a daily basis, I am blown away at the rudeness, entitlement and lack of respect our fellow humans are showing each other. It's not the National Debt, Technology, Robots or even War that's going to do us in, it's each other. Don't get me wrong, I know droves of wonderful people, see kindness given and reciprocated daily but I was prompted to write this when a day recently was full of those at the other end of the spectrum; you know, the ones that make us living by The Golden Rule look bad. In just ONE day, I had a higher up colleague not say "hello" back and we were the only 2 in the hallway and 3 feet apart. I dealt with a caller who chose to use derogatory language to get what they wanted, had the ice cream counter lady ask who's next and a lady budge in front of me who clearly stepped up after me, saw a truck cut off a elderly lady in a sedan, overheard a mother telling her child to "shut up" in the grocery store, had the lady restocking the cheese act like it was a hassle that I needed to squeeze in and get the Colby Jack. Oh you think I'm done...NO, there's more. The cashier never said one word to me, no "hello how's your day" or even thanked me or looked at me when she handed me the receipt, watched a neighbors dog crap on someone else's yard and the neighbor not pick it up, had my first RUDE blog comment, watched to most idiotic political race ads to date and saw a news segment where a drunk father left his 15 month old twin daughters to die in a hot car. The World is angry, the world is fragmented but being rude, heartless and disrespectful is not the answer. People now a days take a glint of pleasure at other's apparent downfalls. THAT'S JUST WRONG!! Love one Another should be plastered on every bus, establishment and street corner....Do unto others..... Instead, it's all the excuses, What's in it for me and I don't give a s#@t! Think about that day when I witnessed all the sad behavior, how much better it could have gone...a "Hello", a "Sorry", a consoling touch from mother to child, a stocker and checkout lady saying, "How may I help you today?" A father putting down the whiskey and taking his girls to the park instead...choices people, choices. If the RIO OLYMPICS aren't showing you humanity, I don't know what is. Every few years the world comes together for triumph, rivalries, joys, loses and tears. 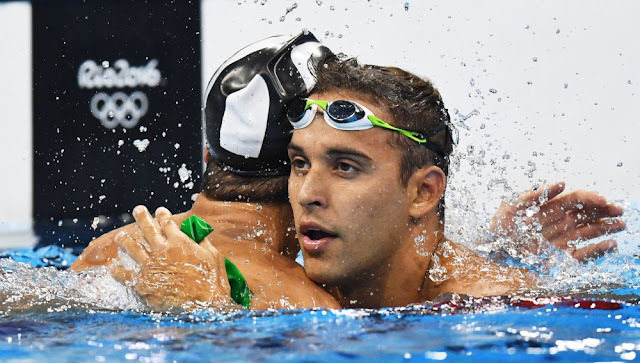 Teammates cheer each other on, stories of great accomplishments, diversity overcome and respect of nations reminds us all of humanity on Earth. Even bitter rivals like Phelps and le Clos hug after a much anticipated and an avenged swim final. You all know what I'm talking about and I bet you witness this current lack of compassion, respect and humanity on a daily basis like I do. 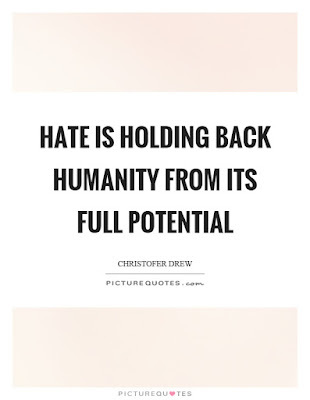 We cannot let this hatred and the minds of mean spirited people win. Let's slow down, lets love more, judge less, kept anger at bay, breathe and shower each other with kindness. I personally am not going to let people get by treating each other like this. If I can, I plan to call people on their sad behavior I witness and remind them of the kind heart they surely must have. 99.9999% of us will never win a gold medal. Heck, the closest I'll ever get to a gold medal is Gold Medal Flour, lol. However, each and every one of us really does have the power to change the world no matter how hard life may be at times. Every day people endure stressful jobs, demanding relationships, and backbreaking responsibility. Every day people battle life threatening disease, face uncertain futures, and struggle to survive. Each moment of our lives, someone, somewhere, is in need of kindness. If we could just change our thinking, shift our attitudes, heal the hurts instead of ignorantly ignoring and making others feel less than they are. What you do for others helps re-energize humanity. What you do for humanity re-energizes you. Go slowly. Breathe, smile, listen and be present and NOT always on a device. Seek opportunities to make a difference, embrace the moments, and Lead by example and maybe together, we can bring this world back to loving greatness and hope for our future. I am so sorry that you had such a rotten day! That last one was truly heartbreaking. There are so many days when the rudeness just runs rampant, and those are the days I do my best to try and pass on some compassion in hopes that it will start a chain reaction. The Olympics is a great place to find human compassion in action, and I am so proud of our athletes and the dreams that are coming true. This is such a great and honest post. Thanks for sharing! I try to remind myself that there is good still in the world and if we continue to show kindness to everyone, then we really are making a difference! It seems like hate and negativity is the normal now. I wonder why we can't go back a few decades when people truly cared about each other and treated each other with respect. It's not easy showing kindness when you are having a bad day but if everyone stepped back and tried, it would start trickling down and make a difference! I hope this week is better for you and off to a great start! My friend . . . all of this is so sad, but true. A post similar to this has been kicking around in my head these days . . . what is wrong with people? More importantly, what is wrong with women tearing each other down? I am a firm believer in a kind word, thought or deed can serve a much greater purpose . . . tearing someone down only serves to make us look bad and feel worse. Perhaps it's because we are older and have learned more lessons? Or maybe because our generation didn't have everything handed to them on a silver platter? It's so hard to raise compassionate and hard working kids in these times . . . but I know we are trying! I'm sending you a virtual hug . . . we stand strong against unkind people and we can change things! I haven't commented here before but felt I had to as this struck such a chord. Things are no different on this side of the Atlantic- I spend so much time fostering a sense of despair and inwardly rolling my eyes at people who seem so caught up in their own lives they can't see beyond the end of their own noses. That and the fact that we are still talking about racism and sexism (in 2016!! ) - just unbelievable. I don't know the answer to the question but I try to make sure my teens can put things into perspective and know that some things really are not worth getting angry over. We can only hope that they won't end up like the idiots you describe! At least, for the past few days, the nation has been so in awe of amazing Team GB there is an upbeat atmosphere about- long may it continue! Oh Andrea !!! I see so much anger and hate each day that I seem to get bitter and angry at the end of the day. I've had to pray and ask God to heal those people and to not change my positive outlook. I need to remain optimistic and continue to be a happy soul. I love love love this post. I agree the people in the olympics are truly inspirational to watch. I'm so sorry to hear you had such a bad few days! I COMPLETELY agree! I always try to show kindness because it is definitely contagious! If only we could all just learn to love and accept! I absolutely loved reading this post though--it's so important to address it so we can start embracing change! Yes, there is a lot of negativity all around us, and it's so important to do our best to reverse some of it! Love the quote! Hope you'll have a great week dear Andrea! I absolutely love the last quote - it is so true! There seems to be so much more negativity than kindness lately - it's so hard some days! But people like YOU are why there is still good in the world! <3 Have a wonderful week! There is so much negativity in the world! I am all about positivity and surrounding yourself with people who only lift you up. What a great post, Andrea. I have been thinking about this a lot lately too with the Olympics, such awesome sportsmanship we have been seeing this past week. I cannot believe the day you had with all that negativity! I do love that final quote though, it is so incredibly true. I hope you have a great start to the week! Great post and some wonderful things to ponder. I would love to see you and your smiling face on the daily and give you a cheerful hello! I love this post and I love you!! I deal with rudeness and entitlement every single day and it is horrible. It's really out of control. I try really hard not to let it get to me but some days it's easier than other days. 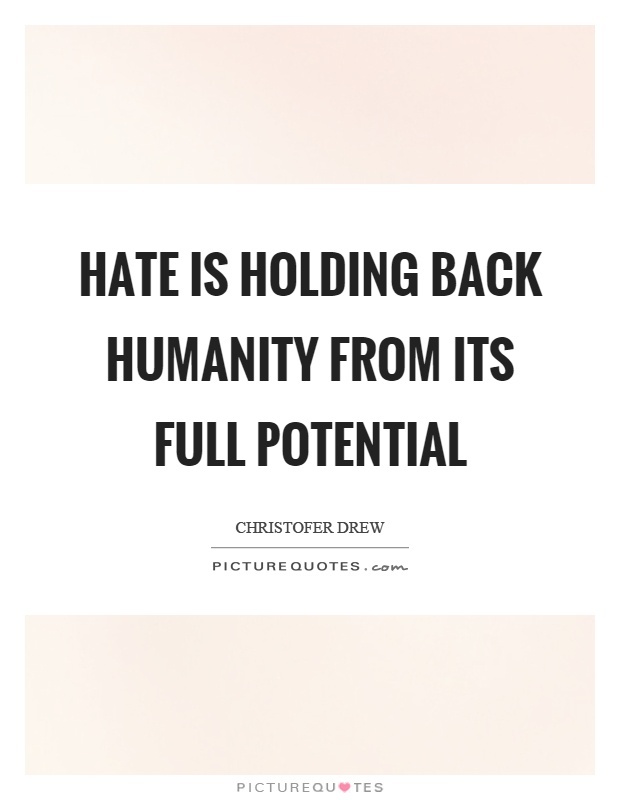 There is so much hate lately and I find it really sad. I always try to be kind even when a person is screaming at my face. 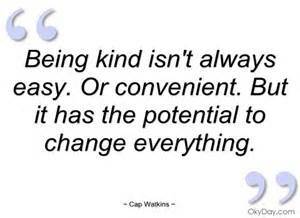 Kindness can go a long way and the world needs more of it. I'm sorry you had such a bad day! It really drives me crazy when people don't say hi or smile back. It's no hard at all & it's just the polite thing to do! Such thoughtful words. Basic kindness seems hard to come by these days. Always a good reminder to live a more thoughtful life! Love this post and I love your kind and gentle heart. It's true that we are our own problem. So many of the bigger issues created are because of us. I always appreciate a remind like this to stop and just be kind. No excuse not to. A coworker of mine while being rude one day told me to put on my turtle shell. I wish we didn't but I find when I go out and about I put on that turtle shell ( I use her line a lot now). I think a lot of people do even on blogs I never comment or even look at comments because (this really happened) I asked a blogger how her puppy was and she F'd me in her reply I guess I was off topic I have no idea. I assume even you will be rude if I comment so I don't tell you when I copy an outfit or try and love a recipe. I think what I am trying to say is a lot of good people find it easier to put on that turtle shell or stay away rather than engage others and feel hurt. Wish it wasn't that way and how do we change that. I am with you, the lack of respect for others has seriously gotten out of hand lately. Last week I went to eat lunch with a friend and this guy in this huge truck parked so that he was blocking my car in. I waited in the hot Alabama sun for 25 minutes....pregnant and pissed...for him to come out so I could leave. When he came out with his three friends he laughed and said oh you waiting for me??? I was like ummm yeah I cant get out because you are blocking me in. He gets in his car and doesn't say sorry or anything. As his friends were getting in, I had enough and I was like are you freaking kidding me??? You aren't even going to say sorry??? I am pregnant, its hot and I am super late for work now because of you. His friend shrugged his shoulders and got in and ignored me as well. I have never wished ill of anyone...but I did think bad thoughts as he drove off about them driving off a cliff or getting stomach issues from the lunch they consumed while I waited. Hahaha. All it would have took was a little sorry and I would have been fine. I called Chris crying when I got in my car because I was so mad and shocked at the lack of humanity. Oh my gosh! What a timely topic and one I totally agree with! I say to my hubby, where are people's manners or politeness? I can be very cynical as I just think that there are lots of people in the world that live in their own little "bubble" not caring or paying attention to those around them. Cant believe that with your co-worker! Like it is hard to utter one or two words, overexurtion? I know it is something that gets under my skin! Sometimes I try to stop, breathe, and just not let things bother me, otherwise, it usually is the person that tries that ends up upset. Anyhow, sorry to hear of those lousy experiences! You are a wonderful lady! It truly is amazing how a simple hello or smile at someone can make a difference. The world would be a much better place if people were just more kind. I have had people not say 'Hello' back and I start to wonder if they heard me... but, you know they did. I actually had a father of another kid yell at me and call me a bad mother at the mall several weeks ago and it STILL stings. Or, when we were in Italy our cab driver saw a motorcyclist in an accident and she said sarcastically, 'Oh poor cyclist. Maybe they should stay out of our way.' or something like that. Just unreal. I always try to treat people with kindness... AND sometimes I need to remind myself on bad days, but sometimes that just makes me feel better on my bad day if I'm kind. Such a great post! We live in a very judgmental world today! 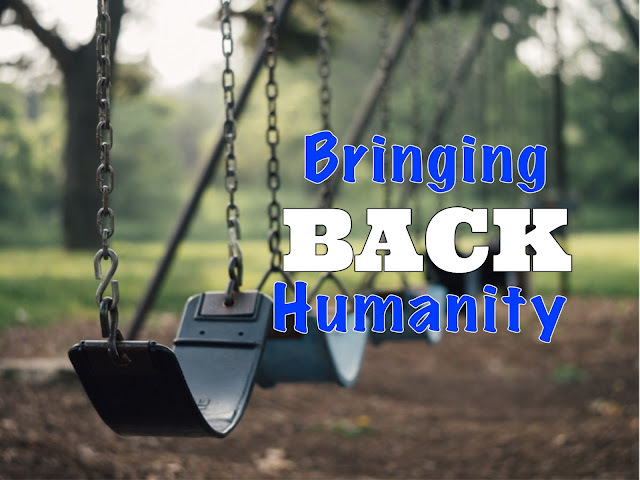 Bringing back humanity is what our society needs indeed! So sorry to hear about your first negative comment as well. I cannot even believe that you got one! But you know what? Just brush it off! We need to separate ourselves from people who really do not know us. I think you are beautiful, inside and out! After reading this post, all I can say is, "AMEN, SISTER!!!" Love your passion on this subject. Praying others feel it too. That is a heck of a day! It is amazing the difference a smile and a little gratitude can make in the day, even if it is hard to muster sometimes. we're all in this together, like it or not people! That sounds like an absolutely terrible day! I completely agree with you that people try to use certain things as cop-outs for why they're acting the way that they do, when in fact they have a choice of how they're going to act. 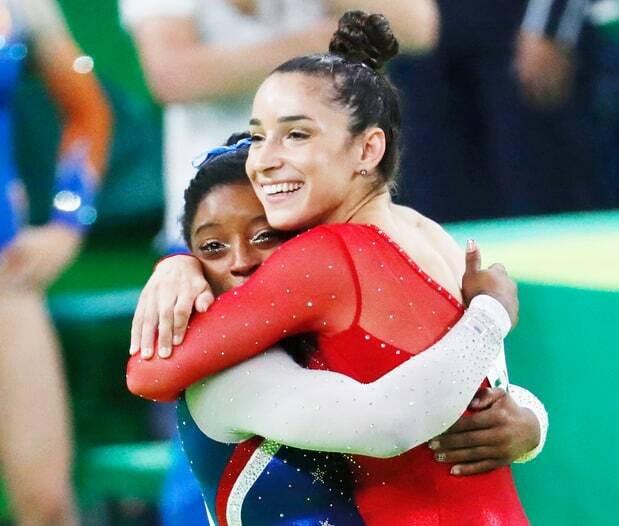 I love the fact that the Olympics bring everybody together, and I hope that people will continue to come together afterwards. Sorry about your day! It is so true, why does it seem like the world is just going to you know what? Let's all be nice and sing kumbbaya! If we can't during the olympics, then we may never! I'm with you on bringing back humanity! The world has become an angry, self-entitled place and that needs to change. You couldn't have said it better my sweet friend! It's so difficult to see the good when there is so much hate and awful things around the world. I don't even watch the news anymore because it saddens me to see what is going on all around us, especially when I hear about children dying. We have been trying and praying for God to bless us with 1 baby...and it kills me to see careless parents not take care of theirs! I'm so sorry you've had to go through all of this...you are so sweet and loving, I can't imagine why no one would say hi to you or be rude. Big hugs my friend! I'm so sorry you had such a crappy day! 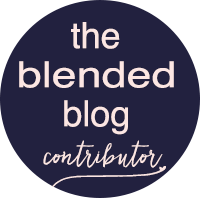 You are kind to everyone in blogland and I'm sure you are kind to everyone in life too. I agree with you that manners and kindness are missing in daily life. Isn't it interesting the way people pull together in the face of major life events but on a daily basis those little kindnesses are forgotten? I generally try to just be nice no matter what...in fact I've been known to say kill'em with kindness. Gold Medal Flour! Ha! Brilliant, girl! Oh, the entitlement and the lack of respect! I'm trying to unteach a 22 year old! And it's so hard when that's the only life she's ever known. Breaks my heart that kids are brought up that way. Excellent post! Great post! Yeah, the world is rude. Now a days people look strange when you greet someone on the street or just be cheerful! Thank you for the HOPE! I had a 9 hour road trip with the girls yesterday and as I was carrying my extremely poop exploded baby into a restaurant to change her while holding my three-year-old's hand, not one person opened a door, thought to maybe leave the bathroom stall with the change table open or so much as offered a kind word. Usually it doesn't get to me, but yesterday it really did. I notice kindness and try to be kind as well. I love your heart and am so glad you posted this! Yes, yes, yes! Couldn't agree with you more on this. Lately it seems like people are in a hurry, angry, disgruntled and feeling entitled. I almost can't stand to watch the news anymore! Hang in there! What a wretched day for you and I sure hope that they have improved since this post. You know we live in a very frightening time period and I have no idea what happened to our world. Somehow people need to get control of themselves and begin to live a life with gratitude, manners, gracious hearts and joy. Passing on kindness is the easiest thing that people can do. You make a difference and that means alot! When I feel myself being sucked into the vortex of negativity that seems to be all around, I always try to step back and find some positive. Sometimes that means getting away from everyone and everything for awhile. I agree with Audrey, sometimes I just have to step away from everything or a while! Thank you for sharing at Party in Your PJs! No words. Just sharing your same feelings with a tear in my eyes. So well said. I wish it wasn't true that stuff like this happens all the time...but it is. I actually have a post tomorrow about a lack of humanity my family experienced this week...ugh. Oh goodness, all of that in one day. What a lousy day. I'm glad you are looking at the positives in life. You're right that the Olympics are a great time to see humanity coming together! I'm so agreeing with you! I'm so sorry for what you experienced! We need to set the example to those around us! "Always be kind!" I read this post when you wrote it and something bad and inhumane had happened according to the news and had written myself a similar post where I had touched some of the same issues, so I definitely agreed with every word and every sentence. We might not be able to stop crime, murders and terrorism, but we are capable of smiling, doing at least one small good deed daily, saying please and thank you, hugging our babies and not yelling. We al have it in us to be human and humane.